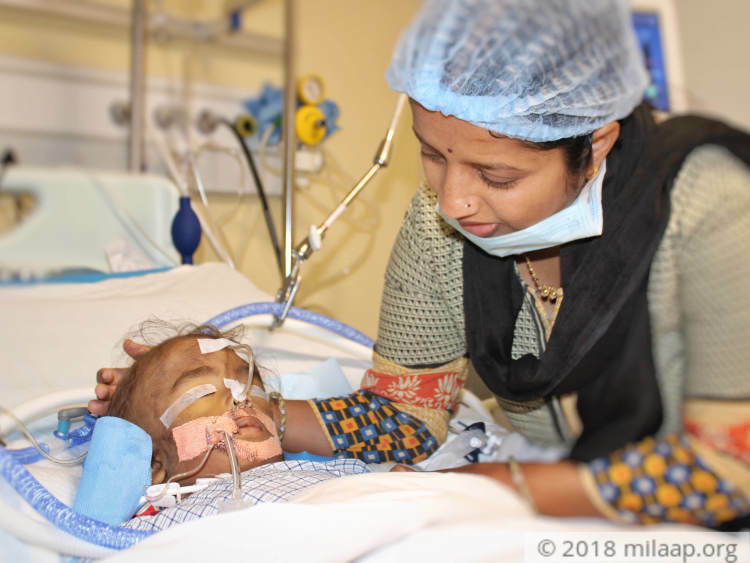 1-year-old Arush was healthy for the 6 months of his life. After that, he had fever for a long time and was diagnosed with Hemophagocytic Lymphohistiocytosis, a condition in which the body makes too many activated immune cells. The immune system begins to damage the patient’s own tissues and organs including the liver, brain and bone marrow where blood is made. 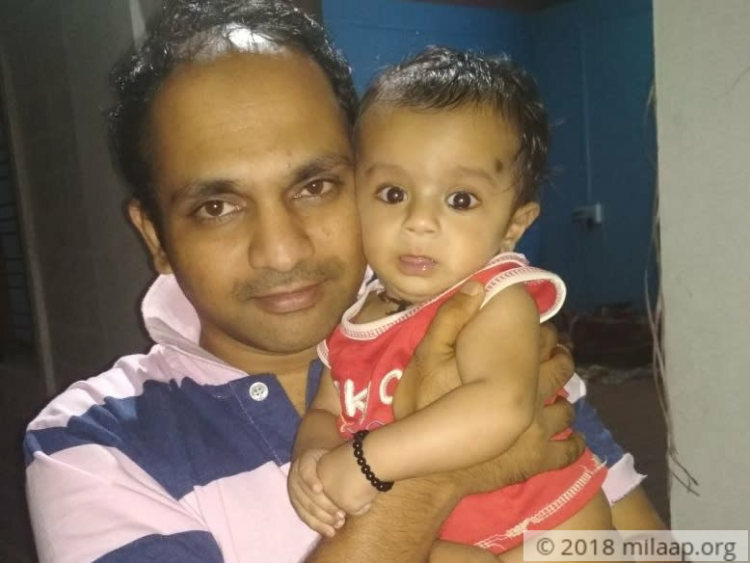 Arush’s parents Abinandhan and Rupa had left their two children Suvasha (6) and Ananya (4) in Bagalkot and came to Bangalore (500 km away) for his treatment. 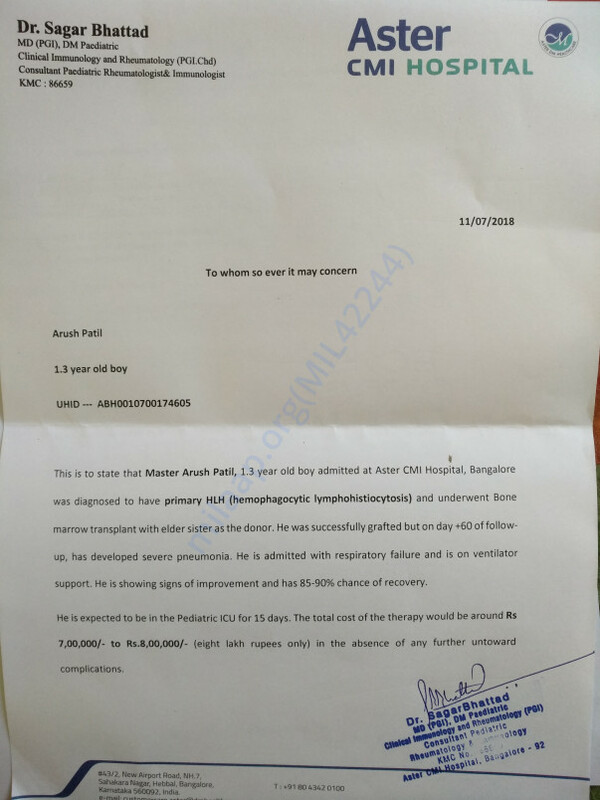 His sister was the donor and they were happy when the bone marrow transplant was over but they decided to rent a room in Bangalore because they had to take Arush for a check-up twice in a week. “He was kept in isolation after the transplant and he seemed to be recovering. Suddenly he developed breathing trouble and we rushed him to hospital. For the past 10 days, he is on ventilator support. His organs are affected Now all I can do is to check in the ICU every now and then if he is alive. I can’t bear to see him in this condition. My wife and I are crying helplessly and we have no strength to console each other.” – Abinandhan. Abinandan was a dentist in his village and now he had almost closed his clinic. He didn’t work for the past 6 months. He borrowed heavily and took loans to pay for the bone marrow transplant. He had to start everything from the scratch. 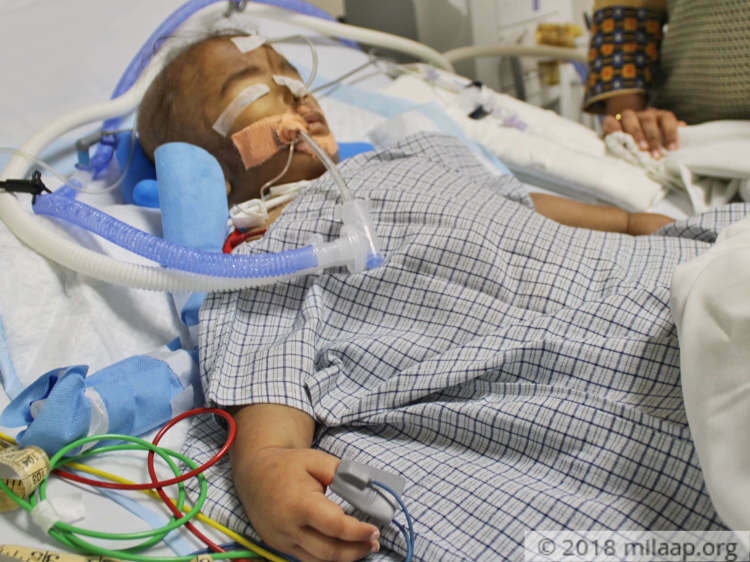 Even before he could gather his strength, Arush was again admitted in hospital and their nightmares are continuing. 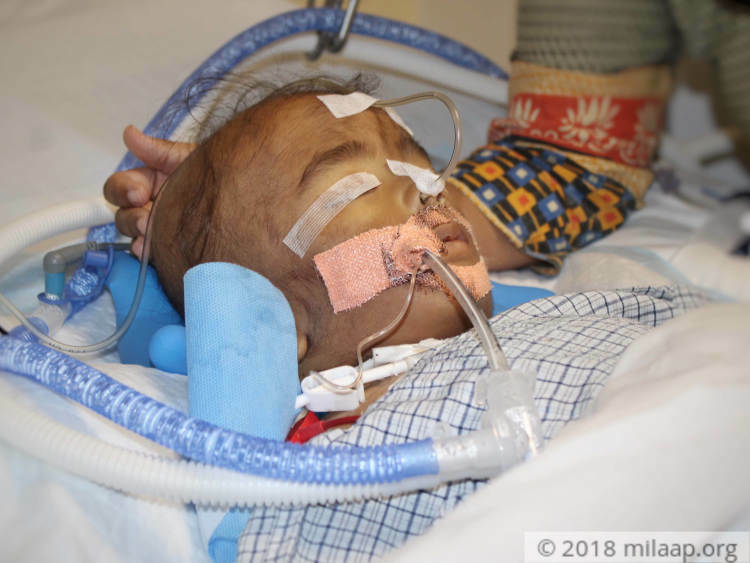 1-year-old Arush has been struggling for the past 6 months. 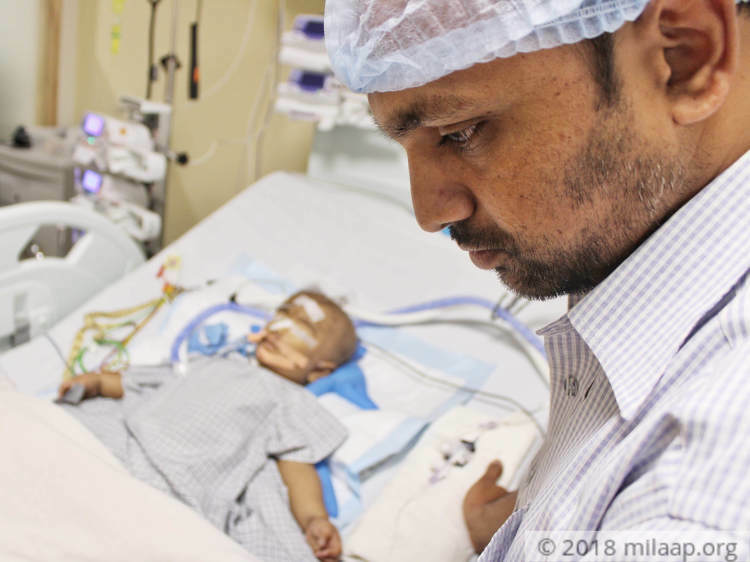 He recently had a bone marrow transplant but he developed pneumonia and respiratory failure. His parents have spent everything they had for the transplant and now they are left with nothing. They are in constant fear of losing their son. Arush has a high chance of recovery if he continues to get PICU care for next 15 days. 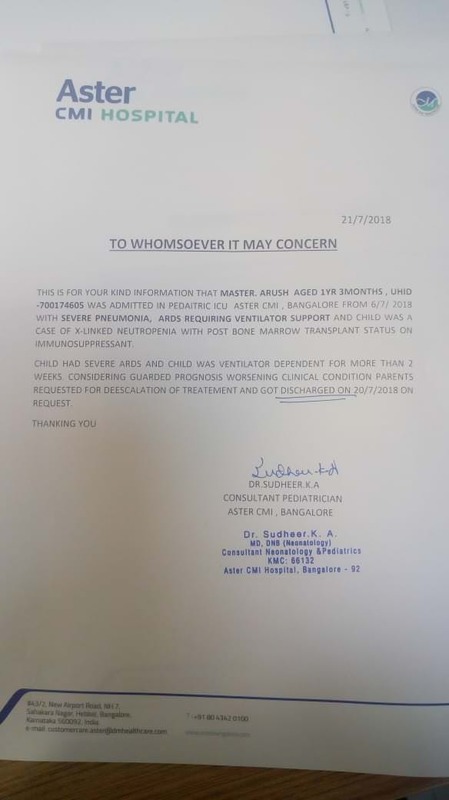 They need Rs 8 lakh for the treatment. Without your support, all the efforts they had taken to save their son will go in vain and might lose their son. 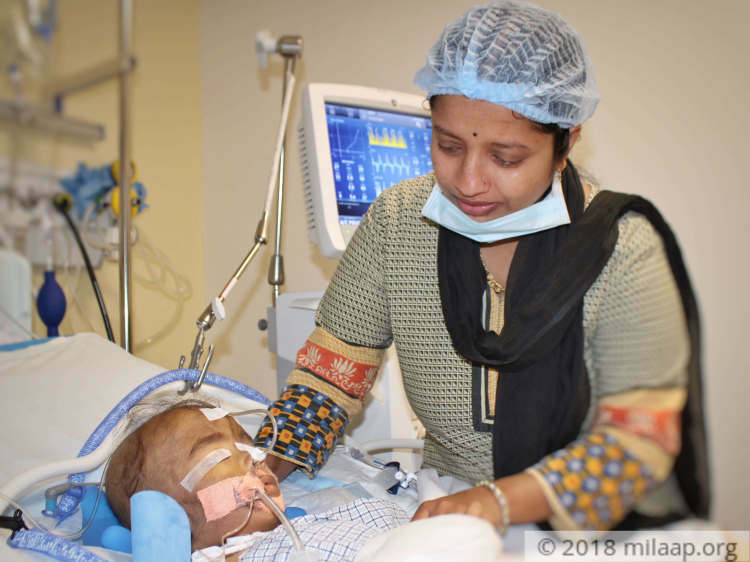 Arush fought hard, but he passed away at his home. 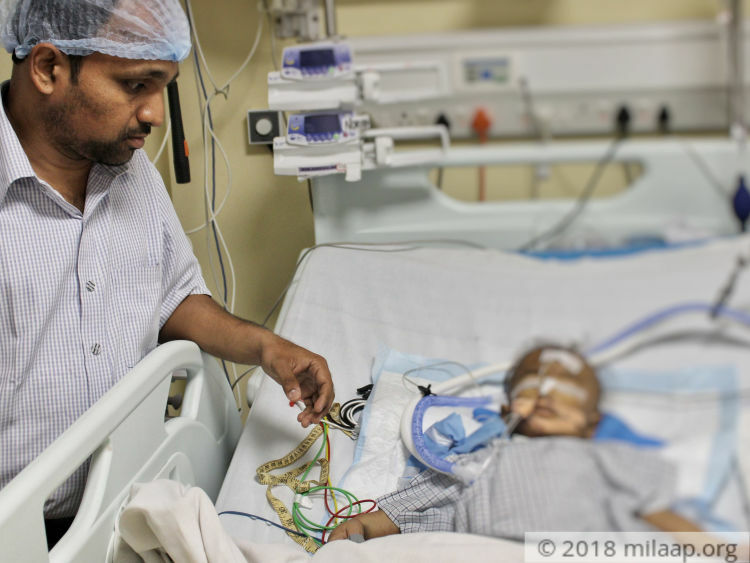 He had developed severe ARDS and he was on ventilator support for more than two weeks. 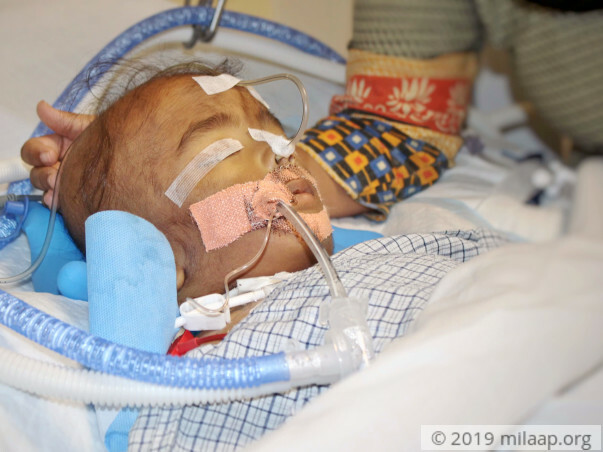 His parents got him discharged because of his worsening clinical condition and requested for deescalation in the treatment. We are thankful to each one of you for your support. All funds have been utilised for his medical expenses so far. God bless you and help you recover soon dear. God bless you little one! Get well soon. You'll be in our prayers.